Cocktail parties are back in vogue! Shaken, with a twist, muddled, stirred, on the rocks, dirty or straight up…??? 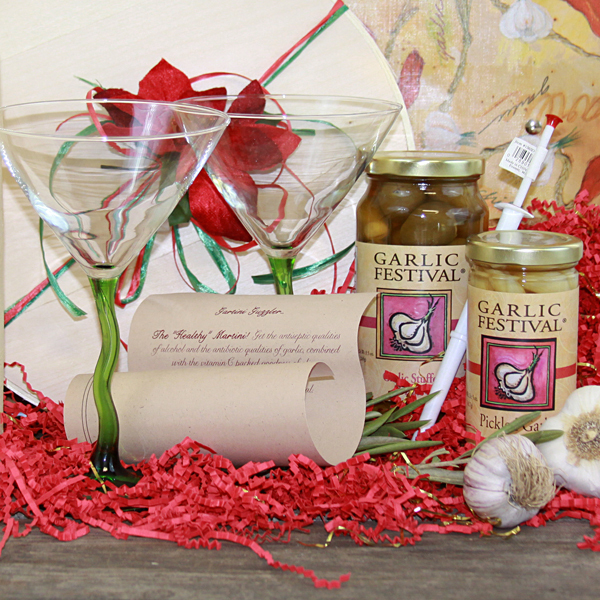 For the Martini drinker on your list, Garlic Festival Foods has created this unique gift box. 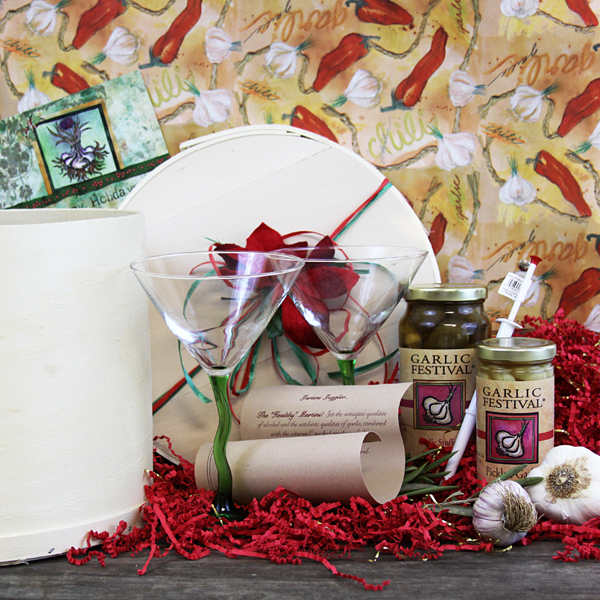 Nestled in a “Made in America” wooden cheese box our standard gift includes Garlic Stuffed Olives, Spicy Herb Pickled Garlic, a Pickle Picker, and two martini glasses*. 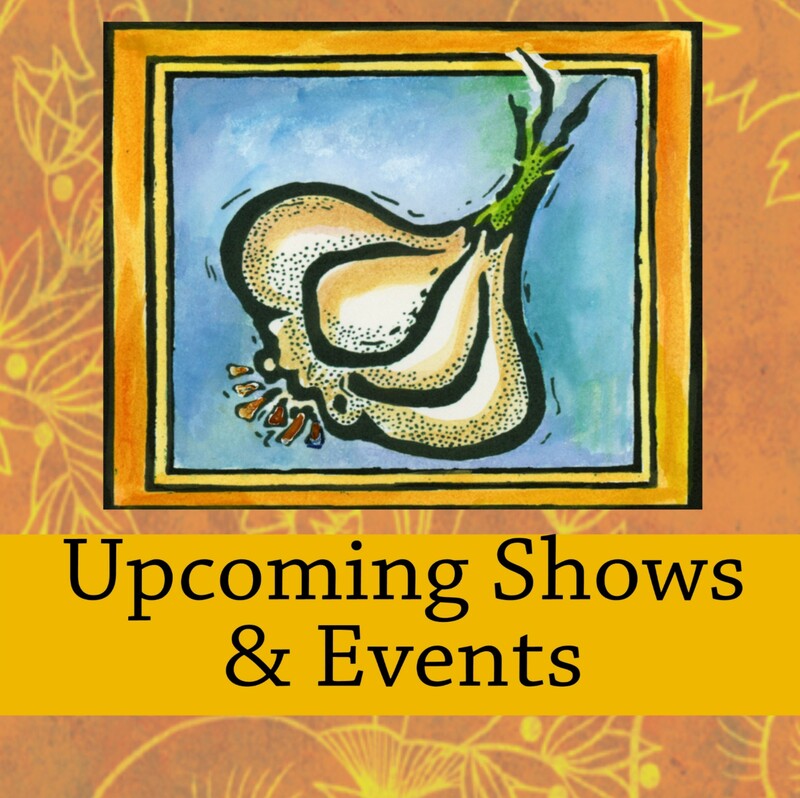 The spicy version includes Jalapeno & Garlic Stuffed Olives, Jalapeno Pickled Garlic, a Pickle Picker, and two martini glasses. Both also include a humorous recipe scroll. You need only supply the gin or vodka. Please note gift packs cannot be gift wrapped. Martini glass styles will vary.